16.2.2016: Sri Srinivasan, an Indian American is going to become the Judge of US Supreme Court. He will replace Justice Antonin Scalia who died unexpectedly. Srinivasan is 48 and is from Tamil Nadu and his family settled in Texas since 1960. He was also the first Asian American to serve Court of Appeals in D.C circuit. 16.2.2016: Prof Yogesh Tyagi is appointed as the new vice chancellor of Delhi University. 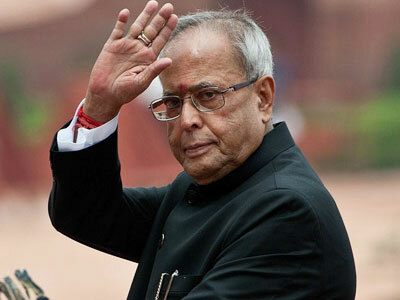 The appointment was made by president of India Pranab Mukherjee. He is presently the dean of law faculty at South Asian University. He will be replacing Singh, who left the office in October, 2015 and the appointment was pending since then. Sudheesh Pachauri is the acting vice chancellor of Delhi University now. 16.2.2016: the term of Mr UK Sinha, chairman of Securities and Exchange Board of India is extended by one more year. He will lead SEBI till 1st March, 2017. He belongs to IAS office, Bihar Cadre. He became the chairman of SEBI in 2011 for three years and got an extension of two years. He now is given another one year extension. He became the second longest to serve SEBI as chief after DR Mehta. 16.2.2016: Well known music director and composer of southern movies, Rajamani passed away in Chennai. He died of cardiac arrest. He was 60. He was very popular in Malayalam film industry and provided music for about seventy films. He was the son of BA Chidambaranath, a noted musician. 16.2.2016: Professor Umesh Waghmare, Dr Amit Sharma, Professor Jonardon Ganeri, Prof Mahan, Prof Ravindra Kumar and Dr Srinath Raghavan are the winners of Infosys Prize 2015 for their contribution in research fields. They received the prize from President Pranab Mukherjee in New Delhi. Infosys Prize is given in different categories such as life sciences, engineering and computer sciences, physical sciences, social sciences and humanities. This entry was posted in Current Affairs, News on February 17, 2016 by Rakesh.